Says with outside money sure to pour in, race will get ‘ugly,’ negative. (Trent Nelson | The Salt Lake Tribune) Salt Lake County Mayor Ben McAdams announces his plans to run against two-term Rep. Mia Love, R-Utah, for the state’s 4th Congressional District, Wednesday October 18, 2017. Ben McAdams, the Democratic mayor of Salt Lake County, announced he is running for Utah’s 4th Congressional District, teeing up a 2018 challenge against two-term Republican Rep. Mia Love. McAdams, a former state senator who was re-elected to his second term as mayor of the state’s largest county in 2016, is known as one of the state’s most politically popular and ambitious Democrats. His name for years has been included in possible candidate lists for U.S. Senate and for governor. He told The Salt Lake Tribune on Wednesday he’d zeroed in on the House seat because Congress and the federal government have created roadblocks to solving issues Utahns face. McAdams lives about a block outside the 4th District, but as mayor he represents about 85 percent of the voters in the district. Because he was re-elected last year, McAdams won’t have to give up his position to run. As mayor, McAdams has been involved in some of the region’s highest-profile issues. He led a committee that studies how to reform homeless services as the county has spent years grappling with how it can improve services and prevent homelessness. The issue has proved politically challenging as well. A state law required McAdams to pick a location for a new homeless shelter before the state closes a 1,100-bed shelter downtown and build three smaller ones throughout the county. McAdams picked South Salt Lake, which is in the 4th District, sparking a battle with that city’s mayor and upsetting residents near the shelter. He pointed to the state’s request to expand Medicaid to cover very low-income residents. The expansion is considered crucial to the state’s effort to cover drug treatment under the ongoing Operation Rio Grande. The state is awaiting approval from the federal government. McAdams’ first choice was a much larger expansion of Medicaid to cover far more Utahns. But when the state showed it wasn’t willing to take on the higher costs of the federal insurance coverage under Medicaid, McAdams says he worked with Republican House Speaker Greg Hughes, R-Draper, to get something through the Legislature that could pass. Meanwhile, he said, Congress has failed to pass legislation that would fund health coverage for low-income children, including 20,000 in Utah, before funding runs out at year’s end. Bring it on, says a Love campaign strategist. Love, the first black Republican woman elected to the U.S. House, first ran in 2012, losing narrowly to Democratic Rep. Jim Matheson in the newly drawn 4th District. Matheson retired in 2014 and Love defeated Doug Owens in back-to-back showdowns, in 2014 and 2016. The other declared candidates hoping for a chance to face Love on the ballot next year are Democrats Darlene McDonald, Marla Mott-Smith and Tom Taylor. 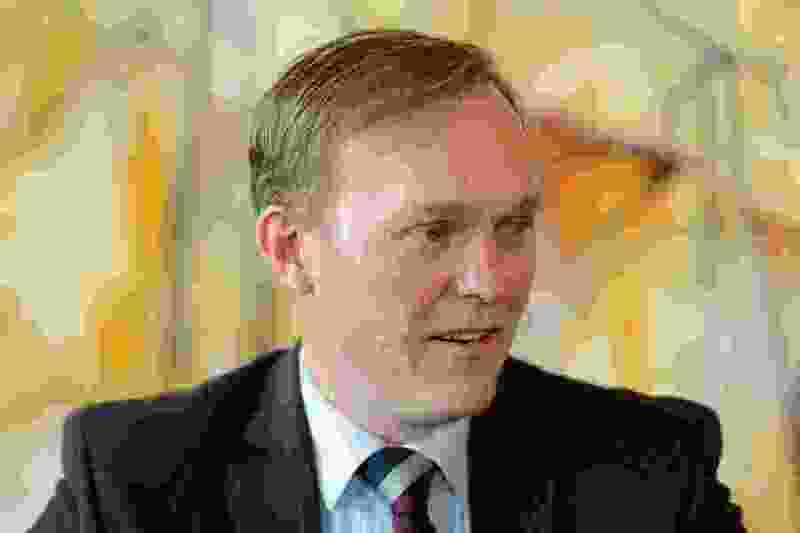 McAdams is uniquely positioned for a challenge given his high visibility in the county, his experience and his ability to mount a campaign close to his home, said Tim Chambless, an associate political science professor at the University of Utah. McAdams said he expects the campaign will cost about $2.5 million and that he plans to run a positive campaign but expects plenty of outside money that typically funds negative ad campaigns. “We sat down with our kids and we told them that we expect that this will be ugly. There will be a lot of negativity. And that does give me pause,” he said. “Ultimately, the moment that good people are bullied out of running for office because of fear of the negativity, then Washington really is lost. Editor’s note: This story has been modified from the original to name declared Democratic candidates in the 4th Congressional District that were omitted in the earlier version.